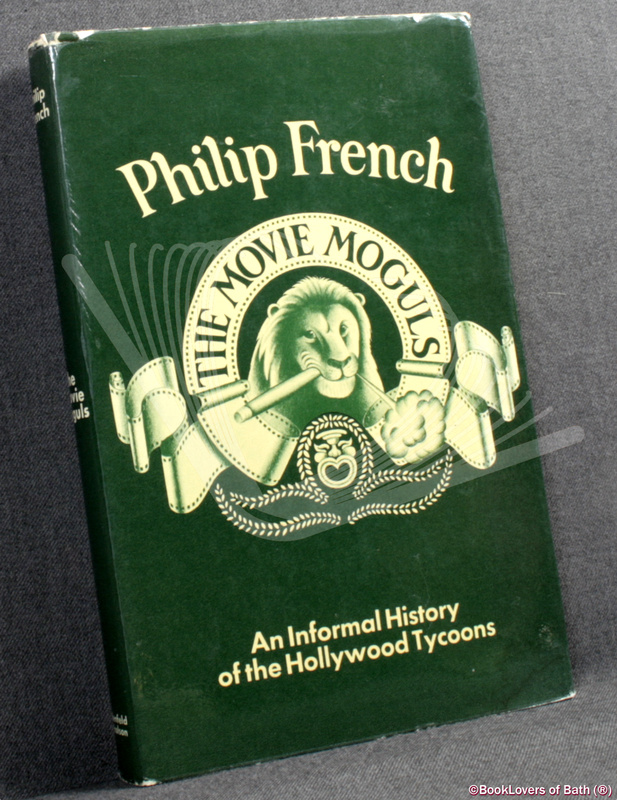 The Movie Moguls: An Informal History of the Hollywood Tycoons by Philip French lands on the shelves of my shop, where it will be found in my Cinema section. London: Weidenfeld & Nicolson, 1969, Hardback in dust wrapper. From the cover: In the early 1890s the cinema was a peepshow novelty in penny arcades. Thirty years later it was Americas fourth largest industry, with its production centre in Hollywood. This vast new business was dominated by eight major corporations, which not only made the movies but distributed and exhibited them in their own chains of cinemas across America and around the globe. And these films helped shape the tastes and behaviour of several generations the world over. For the most part, the cinema companies were created by European immigrants who arrived penniless in the United States during the last two decades of the nineteenth century men like Louis B. Mayer, Samuel Goldwyn, Adolph Zukor, William Fox, the Warner Brothers. The Movie Moguls looks at the background, characters and careers of these extraordinary men and is the first book to concentrate exclusively on the tycoons and celluloid czars who are still best known through grotesque caricatures or as characters in such novels as The Last Tycoon and What Makes Sammy Run? Very Good in Good Dust Wrapper. A little rubbing to the edges of the dust wrapper, several small nicks to the top edge and a short, closed but untidy, tear to the head of the lower panel. Price Clipped. Edges of the text block lightly tanned. Text complete, clean and tight. Green boards with Gilt titling to the Spine. [X] 170 pages. Index. Bibliography. 8¾” x 5¾”. This entry was posted in BookLovers of Bath: The Shop! and tagged american, angeles, biographies, california, cinema, direction, directors, history, hollywood, industries, industry, los, motion, moving-picture, moving-pictures, picture, pictures, portraits, producers, production, states, studios, united. Bookmark the permalink.